West Texas Intermediate (WTI); we think the market price has already peaked out. There exists thousand of the market analyze information. And we can divide three types of information. 1. Judge Exchange Level Based on Economic Rationality. 2. Judge Exchange Level Based on Economic Rationality with chart (Price movement) or formation figure. 3. Judge chart (Price movement) or formation figure without Exchange Level Based on Economic Rationality. In any cases, we can reach the investor goal “Profits” with big effort. Now, we adopted No.3 way. We often wrong “Judge Exchange Level Based on Economic Rationality”. If we adopt No.1 or No.2 way, we may offer terrible mistake. We can only do No.3 way and view the chart (Price movement) or formation figure and find out the similar price movement. This is quantitative, systematic and mechanical judgment method. The market price is being between 77 dollar and 109 dollar. In mid-long term view, the steadiness is going on. 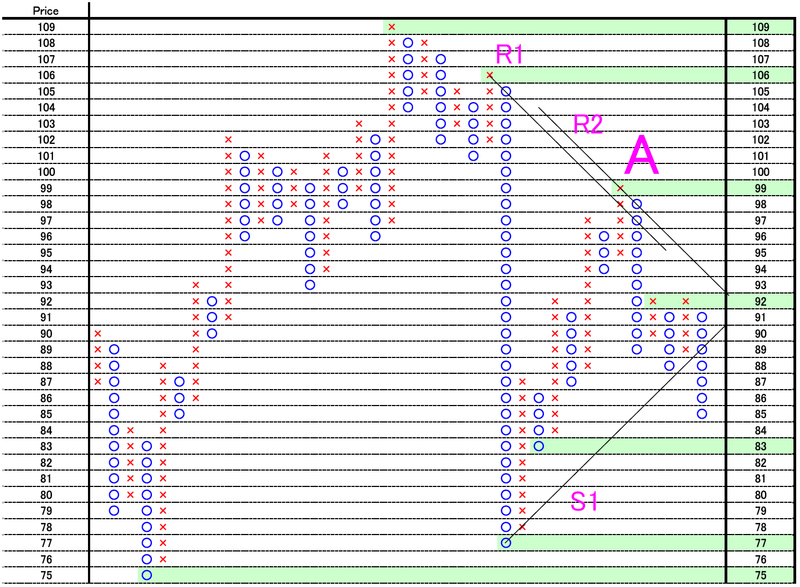 The recent market price cut 45 degree support “S1” and we should close our long position. The market price formed flat top at 92 point. And these evidences provides bearish. There are 3 support points at 83 point, 77 point and 75 point. If the market price will cut 92 dollar, we can consider trend reversal. Chicago Options ^VIX Daily; the crisis will start cutting 20 point. Our view is not change since 07/31/2012 “The caution pattern is still going on”. 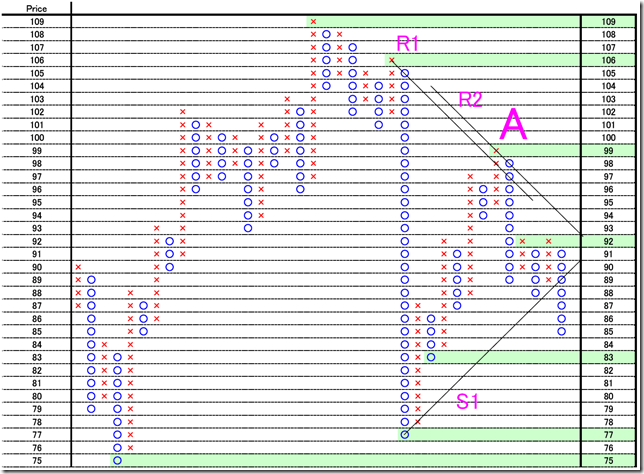 This is the latest P&F chart. The market price cut 45 degree resistance line and this may suggest the real crisis. The market price forms flat top at 20 point and this is the breaking point. We think steadiness will go on for some time and will break up side.